Finally, delicious, healthy gluten-free hot dog buns! 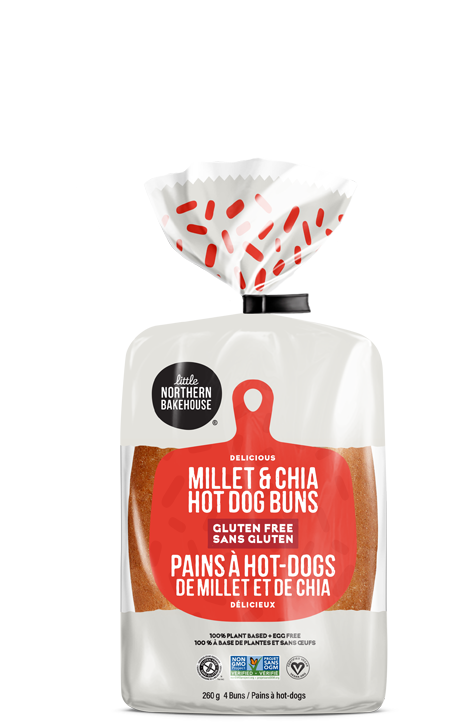 Made with nutrient-rich millet and chia seeds, these flavourful vegan, allergy-friendly, Non-GMO Project Verified buns have a smooth texture and delicate crunch. 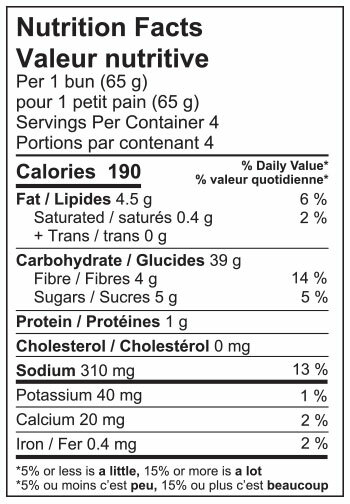 Water, gluten-free flour blend (modified tapioca starch, potato starch, brown rice flour), sugars (dextrose, cane sugar), sunflower oil, psyllium husk, yeast, pea fibre, modified cellulose, salt, rice bran, whole millet, whole chia seeds, cultured cane sugar, cellulose gum, vinegar.